With over 40 years’ experience in contract flooring supply and installation, we guarantee our clients the perfect balance between style, practicality and durability. All our floor installation services will provide a perfect fit and will last for a very long time; withstanding any and all high traffic. It doesn’t matter if it’s a single room in a small office or a complete hotel, restaurant, bar or shop. Our carpet fitters and floor installers are fitted with the tools and knowledge they need to provide the best service for any property and are able to meet any of your carpets. Our commercial team guarantee outstanding levels of service, competitive prices and installation of the highest quality. We want to ensure that you have the perfect flooring that you need and that it is installed to last as long as it can, even under high traffic. For the best in commercial floor installation, call our specialist flooring installers on 0208 699 9300. They are on hand to provide you with the information you need on our range of laminate or vinyl flooring solutions. With designer flooring brands; we are certain to provide you with the high quality and efficient commercial floor you need. We will even arrange a free survey and no obligation quotation for your floor installation! Working for a variety of clients, all with differing needs and requirements, we have extensive practical experience in every aspect of commercial flooring; be it carpets, safety flooring, entrance matting or commercial vinyl tiles. Working to the tightest deadlines we have installed commercial flooring across single rooms and entire buildings for architects, property developers, contracts managers and property management companies throughout South East and South West London and the surrounding areas. Our range of designer flooring encompasses something for every room and for every kind of property so you are assured to find something that suits your needs. Made from the finest materials by the industry’s leading manufacturers, including Cormar, Westex, Tarkett, Polyflor, Gradus and Altro, our commercial flooring is guaranteed to provide years of reliable and cost effective service. 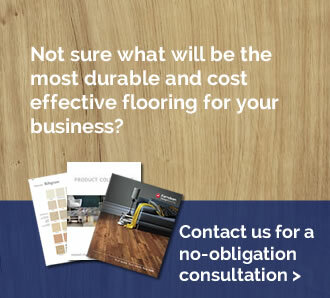 For more information about our huge range of commercial flooring options, please do not hesitate to visit our Forest Hill showroom or contact one of our helpful and friendly commercial floor installation team. Based in Forest Hill, we provide the highest quality commercial flooring installation services to clients across South East and South West London, including in Dulwich, Beckenham, Lewisham, Streatham, Catford, Bellingham, Penge, Crystal Palace and Brockley.